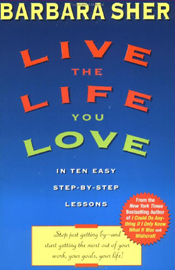 Our next Barbara Sher book club begins on February 21st with Live the Life You Love (in Ten Easy Step-by-Step Lessons). The exercises in this one will carry you along from not knowing what you want right into accomplishing the work required to add it to your life. Sign up below by 11:55 pm, NY time, on Wednesday, February 20th to be part of these powerful 16 weeks of reading, discussing and moving toward a life you truly love. And please don’t worry whether this will fit with your schedule. It will, no matter where in the world you live. This book is different from the other ones we’ve done book clubs for. Live the Life You Love is the book that helps you figure out what you want and takes you step-by-step to achieving it. By the end you have found and are doing what you love to do. It’s the do-it-yourself version of Wishcraft. Except you won’t need to do it yourself, because you’ll be part of a group sharing what you’re learning, and the steps you’re taking, through the exercises in each chapter. You’ll get more out of the book. And you’ll get the accountability that helps you make the time each week to read some more of the book and really work through the exercises. For the same cost as sharing a cup of coffee with your neighbors while you discuss the book at a local coffee shop, you can show up for this book club in your yoga clothes or pajamas. At whatever time and day suits you. And the other members of your book club are not just your neighbors. They live in New York City or Taos, in London or Montreal, in Perth or Hong Kong or Frankfurt or Stockholm. They live on a farm in Idaho, in a Lake District cottage in England, or next door to Disneyland. That’s what we’re creating here, and we want you to be part of it. For sixteen weeks, we’ll share Barbara Sher’s Live the Life You Love (in Ten Easy Step-by-Step Lessons), winner of the Books for a Better Life Award for best motivation book of 1997 and a five-week Publisher’s Weekly bestseller. We’ll read every word. We’ll do all of the exercises. And we’ll encourage you on your transformative journey from wherever you’re stuck today to a life that makes you happy. Hurry! Registration is open only through February 20th. Tammy Garver has been immersed in Barbara’s work and using her methods and philosophy for more than 3 decades! A true Scanner, Tammy is honored to include teacher, writer, artist, consultant, certified life coach, practicing helping professional and holistic thinker on her list of loves and pursuits. Tammy is an alumna of Barbara’s first Write Speak Retreat and used ideas from Refuse to Choose to raise money to attend the first Scanner Retreat in 2006 where she finally “met her tribe” in Corfu. Tammy’s education includes degrees in Human Services, Family and Individual Studies, Early Childhood and a special concentration in Teaching Adult Learners. Tammy loves having fun, robust conversations and discovering new things with Scanners and Divers alike. “Tammy is a great person to brainstorm with! She always has loads of ideas and she’s very supportive.” —D.J. We begin on Thursday, February 21, 2019. If you don’t sign up by the night before, it’s likely to be a year or more before your next opportunity. We’ll read part of the book and do the exercises in it every week for sixteen weeks. We’ll finish up on Wednesday, June 12, 2019. We’ll meet here on this website, discussing each exercise and each chapter in the comments on its own web page. No phone calls or webinars to fit into your busy schedule. Read what the rest of the club has to say and write about your experiences any time during each week. We’ll email you the comments that come in after you’ve posted yours, or you can just check back later in the week. You will need to purchase or borrow a copy of Live the Life You Love, but they are plentiful and inexpensive. Choose the hard cover, the paperback, or the Kindle edition, whatever suits your reading style. You will get an email every Thursday with a reminder of the week’s assignments, or you can find them in your Member Profile on this site. You can subscribe to be emailed each comment or you can visit the week’s pages to read them all at once. 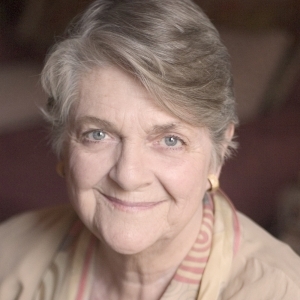 As with all the previous Barbara Sher book clubs, we expect a lot of members. We’ll assign you to a group that’s just the right size for good discussions. If you want to join with a friend, do it at the same time to be part of the same group. Contact webmaster@barbarasclub.com if you encounter any problems with payment or if you don’t receive two emails within an hour after paying. Is this the right book club for you? YES if you’re still trying to figure out what you want to be doing with your life. Or if you have an idea but aren’t making much progress toward it. YES if you’re stuck in a rotten job or a boring life and want some helpful, friendly accountability as you do the work to create something very different. YES if you get more out of exercises when you do them with other people. YES if you are isolated and don’t know a lot of people who have figured out what they love doing. YES if you’re a coach or want to be one. 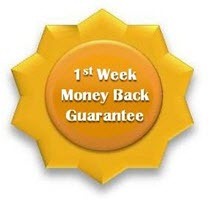 Learn to use my organic strategy for achieving a life your clients love. If you’re in transition — or want to be — this is a fantastic book to help you redefine your life and make it a joyful one — that you yourself design. At a difficult point in my career, I turned to this book to help me move to something new. I followed the steps described and it really worked. I had a dream of teaching environmental ethics at university, and now I am!…Another great thing about this book is that, just as she promises, all the exercises suggested are actually fun. This book is very different than the usual “you can do it” book. If you follow the simple steps with this book “you will do it”! A wonderful book! You can start implementing the steps right away and be on your way to the life you love! Who are you, and where are you going? If you don’t know, this book will help you find the answers. This is your chance. The doors close on February 20th and the Book Club begins on February 21st. Tammy’s ready to introduce you to a lot of great people and take you through the entire book. And the earliest we can possibly offer this again is more than a year from now. Sign up now and start changing your life. You owe your gifts to the rest of us. We owe you the support you need to find those gifts and do what you were born to do. I am 69 years old, 100% disabled ‘Paralyzed’ Army veteran. I have limited money, physical ability and help. I had a stroke as I was attending college and am looking. ?? ?